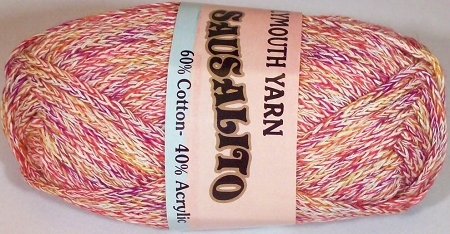 1.75-oz (50-gram) balls of Plymouth Sausalito yarn. Each ball contains approximately 88 yards. This yarn will make wonderful garments! Easy to work with. Machine washable. 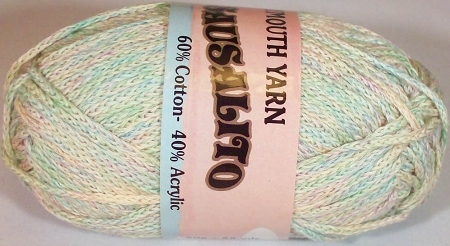 This yarn has been discontinued so get it while you can! 60% Cotton, 40% Acrylic. Worsted weight. 18 stitches = 4" on US size 8 knitting needles.